The GSM Village tries to bring together various people interested in various aspects around GSM (and obviously also 3G networks such as UMTS/CDMA2000/...). 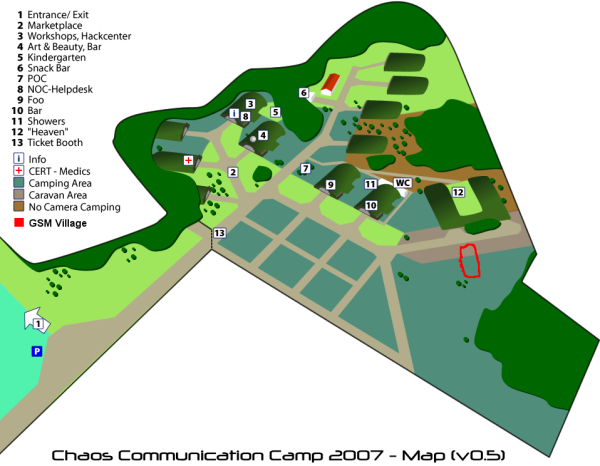 The GSM Village is located next to the Wireless Village on the east of the camp grounds. some developers and involved people of the project will attend. why and how are we doing this? This page was last modified 12:34, 11 August 2007.